Unusual planters for plants and flowers add interest to backyard ideas and make spring decorating more interesting and fun. Objects that clutter your home can be used for creating gorgeous yard decorations and giving unique character to spring decorating. Beautiful gardens and balconies, small courtyards and decks will look more surprising, artistic and playful with repurposed planters. 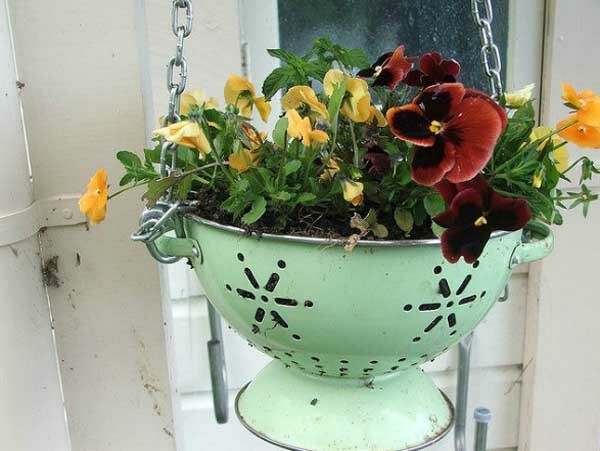 Plants and flowers in planters created of recycled containers, baskets, kettles or old shoes are decorative accents that improve mood and make everyone smile. 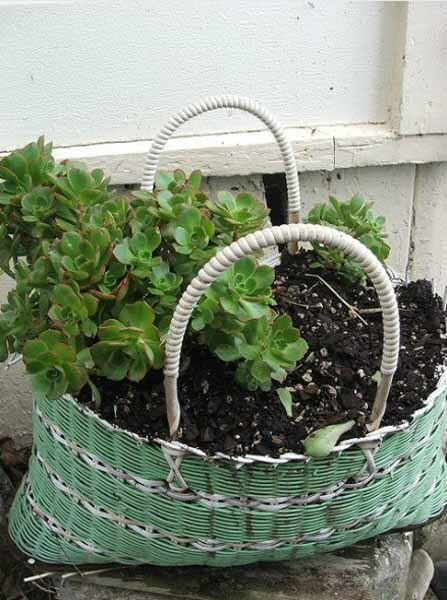 Ideas that help reuse and recycle items that clutter our homes, – used containers, old baskets, kettles, shoes or metal cans, are excellent materials for creative spring decorating. Junk and clutter items used for growing plants and flowers remind of the importance of green ideas, recycling and reusing materials for saving the environment and natural resources. 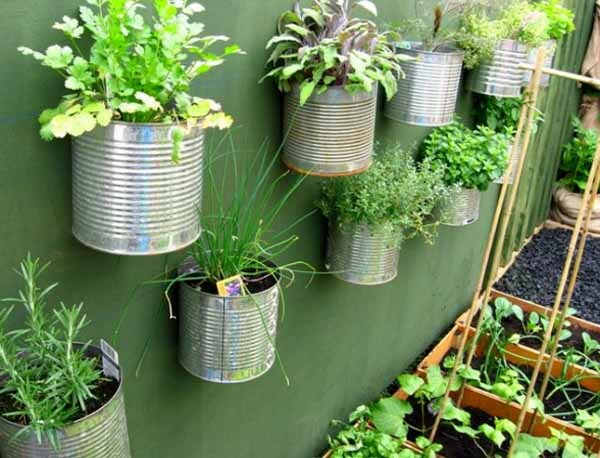 Broken or old chairs, containers, baskets, kettles, shoes, metal cans, cups, drain pipes, bags, kettles, trolleys, and even cast-iron or wooden bathtubs, gutters and trays are excellent materials for backyard decorating that transform modern homes, making them more environmentally friendly. There are many various ideas that reuse and recycle junk or clutter items. The pictures may inspire you to declutter your home and backyard, designing unique, artistic and charming repurposed planters for plants and flowers, adding playful flavor to eco friendly spring decorating ideas. 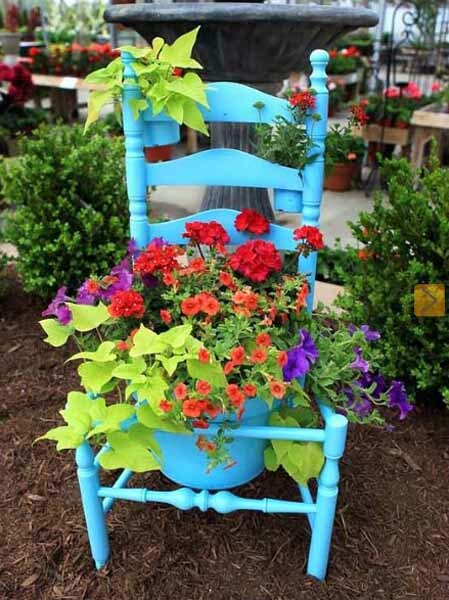 Selecting an interesting item for a pot, adding the soil and planting flowers are all you need to design beautiful backyard ideas for spring decorating.